Shannon Wight Photography: Tip Tuesday | Forget the Cheese! Tip Tuesday | Forget the Cheese! 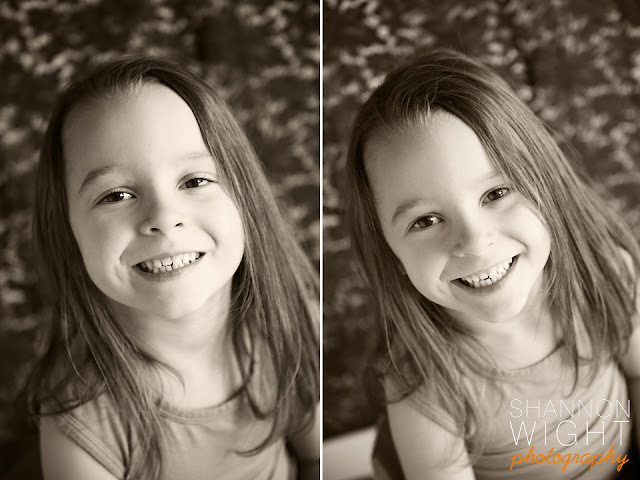 The most important thing about photographing children is having patience and letting them get comfortable with you. Let them play around and get use to you before snapping away. Ask them lots of questions, not only to take their mind off of posing but to get a reaction out of them as well. Don't ask them to say "cheese", try "yes" instead. The first photo is the typical cheesy smile, but I got the one on the right after saying a few silly things that brought the natural smile out of her.